Full Colour Sublimation Lanyard. Product Id: LAN11. Full Colour Sublimation Ultrafine Polyester Lanyard. **Attachments: A1 Simple J included in the price - additional costs for other attachments. **Clip Connector NOT included. Colours. Full colour. Printed Satin sewn onto Polyester. Product Id: LAN12. Printed Satin sewn onto Polyester Backing. **Attachments: A1 Simple J included in the price - additional costs for other attachments. **Clip Connector NOT included. Colours. Any PMS colour available. MOQ is 500. Woven sewn onto Polyester Backing. Product Id: LAN13. Woven sewn onto Polyester Backing. Attachments: A1 Simple J included in the price - additional costs for other attachments. **Clip Connector NOT included**. Colours. Any PMS colour available. MOQ is 500. Product Id: LAN15. PVC Lanyards. Attachments: A1 Simple J included in the price - additional costs for other attachments. Colours. Any PMS colour available, can match within +/- 10% accuracy, MOQ is 500. 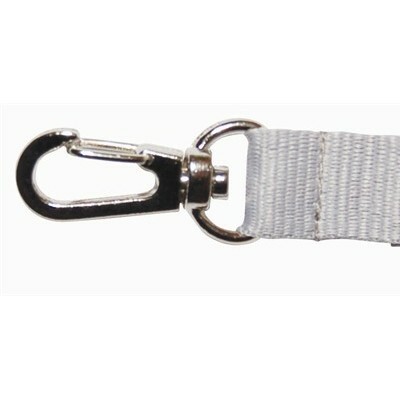 Basic Nylon Ribbed Style Lanyard. Product Id: LAN20. Basic Nylon Ribbed Style Lanyard. Attachments: A1 Simple J included in the price - additional costs for other attachments. Colours. Any PMS colour available MOQ x 500.
lyester. Product Id: LAN14. Printed Polyester sewn onto Polyester Backing. Attachments: A1 Simple J included in the price - additional costs for other attachments. **Clip Connector NOT included. Colours. Any PMS colour available. MOQ is 500. Silicone Lanyards. Product Id: LAN16. Silicone Lanyards. Attachments: A1 Simple J included in the price - additional costs for other attachments. Colours. Colour: Any PMS colour available, can match within +/- 10% accuracy, MOQ is 3000. Lip Balm Holder Ribbed Style Lanyard. Product Id: LAN17. Lip Balm Holder Ribbed Style Lanyard. (Lip Balm not included). Attachments: A1 Simple J included in the price - additional costs for other attachments. **Clip Connector NOT included. Colours. Any PMS colour available. MOQ is 500. Cooling Ribbed Style Lanyard. Product Id: LAN18. Cooling Ribbed Style Lanyard. Attachments: A1 Simple J included in the price - additional costs for other attachments. Colours. Any PMS colour available. MOQ is 500.